← Que-Mars Redath Is BACK! Entertainment Earth is continuing the savings all week with daily specials. 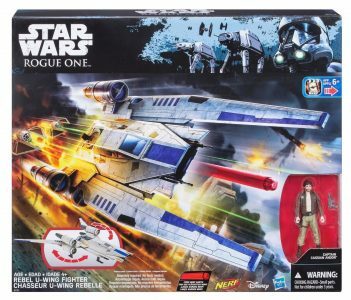 Today’s specials include a few Star Wars items: The Rogue One U-Wing Fighter for $18.99 and Funko’s Lando Calrissian Pop! Vinyl Bobble Head for $4.79. Previous Article: Que-Mars Redath Is BACK!